How do you read online magazines? Do you sit down and read them through, keep them open while you’re working and occasionally tab over to read a little, scroll through them on your phone on buses and in waiting rooms? I find I read these journals in a less purposeful way than printed ones, often dipping into an issue without committing to read the whole thing. These days it’s easy for a poem to become just another tiny drop in the sea of web content being produced every day. So it’s smart when a web magazine takes some steps to make each page into more than that—when it invites you to look around a little bit, and to reread. That’s what happens at Radar Poetry, a quarterly, independent, poetry-only web journal that has been publishing since early 2014. Radar makes use of the multimedia possibilities of an online publication: each poem is paired with a work of visual art, and for most of the poems in the July 2016 issue, there is also an audio recording by the poet. This approach keeps a reader on each page a little longer, and the combination of text and audio encourages us to experience each poem at least twice. The readings themselves are a mixed bag, as you would expect if you’ve been to many poetry readings. The quiet, minimally expressive “poetry voice” is certainly in evidence here, and I sometimes wished for more inventive and expressive performances. The artwork is consistently well chosen, establishing a legible aesthetic for the magazine without being too uniform or providing over-literal illustrations of the writing. At its best, this magazine’s marriage of text, sound, and artwork enriches all three. Take, for example, “A Secret History of World Wide Outage” by Elizabeth O’Brien. The poem depicts the world flickering in and out of existence like a web page on a faulty connection. Half fantastic and half realistic, it brings the notion of missing backups and hard drive failures to our world full of climate change and natural disaster. One especially memorable line describes a mountaintop lake in the Northwest Territories whose permafrost shores melted until the lake “shambled too close to the cliff’s edge/and bowled right off in its borrowed shoes.” The poem flirts with oblivion and rebukes us for not making “backups” even though we know we should. This is a particularly satisfying page of the journal because the author’s reading is so well done, with an intense and indulgent tone of voice; and the visual art accompanying it is fantastic, a hybrid of painting and sculpture that spills out of its frame into oblivion. Humorous oddness like this is a valuable quality in poetry. There is a world of potential in work that is not just obscure but engagingly weird, that differs from prosaic speech in pursuit of an aesthetic world we haven’t seen before. “Nouns and Verbs (Puella)” by John A. Nieves is like this: it seems to exist in a space just to the left of what is physically probable, and in doing so it paints a surprisingly deft portrait of a sibling relationship where one sibling chooses “tether,” the other loves “breach,” and the two of them must nevertheless find a way to keep loving each other. It’s an odd hymn to difference and it knows what it is doing. Some of the other poems use description of concrete things in more obscure ways. I had the sense, reading Christine Gosnay’s “I Wanted To,” that the poet was describing something in particular but I couldn’t quite identify it. What are the “the bags coated with grease/Tied off on doorknobs?” What is the place “where in that far-field the lights mean/Kitchens, big rigs, the petroleum, the shale, the soft/chicken battered in cornflakes”? I think that the poet is providing details here to sketch a portrait of a place that I don’t recognize, a risk that is native to this kind of pointillist approach. Chelsea Dingman’s “On Our Tenth Anniversary, My Husband And I Watch Tropical Storm Andrea Rip The Doors Off The Lanai” is less coy: it’s conspicuously mature and meaningfully embodied. 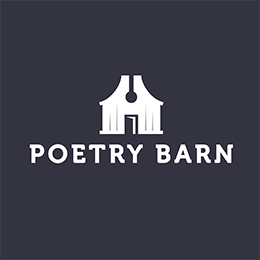 There is something slippery in this poem’s depiction of the body: “Teach me//how to hold you like water/cupped in my hands as a cure/for thirst.” This isn’t precisely possible, but it’s physical enough and specific enough that we can picture it anyway. Earlier in the poem there is “lightning,/pressed to our cheeks//as we knelt in the rain.” It’s not a possible physical relationship to lightning, but the poem gives us a physical configuration for that impossible thing. There are fourteen poems total in this issue, enough to revisit it over several days but not so many you couldn’t read it all in one sitting. The whole archive of past issues stays available indefinitely, so if, like me, you are taken by some particular poems, you can always come back and find them again. General submissions are open October 1 through June 30. During the summer, women poets can enter collections of work for the Coniston Prize, offering $1,000 and publication in the October issue. However you usually read online magazines, I encourage you to check this one out. It’s got a smart assortment of work, a professional and appealing look, and a dependable quarterly publishing schedule—a noteworthy accomplishment for an indie mag with just two people on the masthead. It’s engaging enough to read straight through, and presented in small enough pieces to provide tiny poetry breaks in your workday.